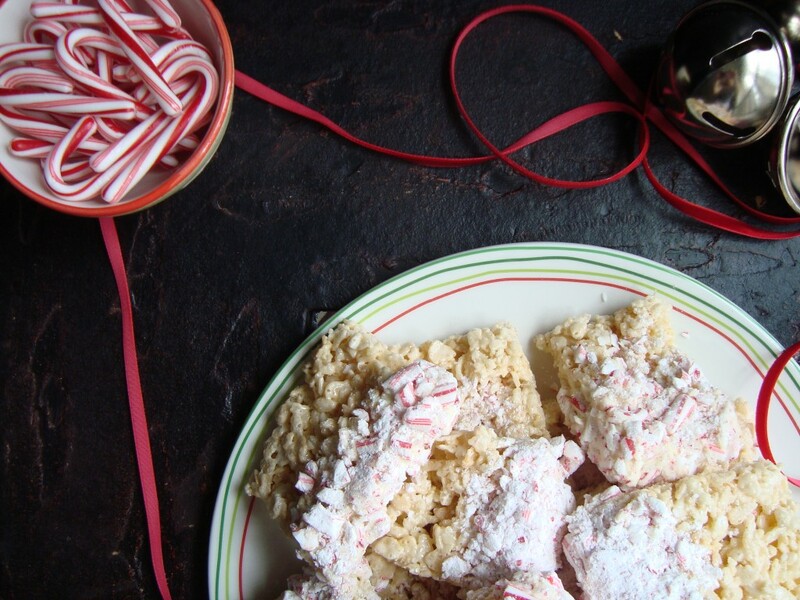 Actually an evening of Candy Cane Dipped Rice Krispies Treats (all to myself) in front of the TV watching something Christmas-y, sounds amazing. No one will know, right? 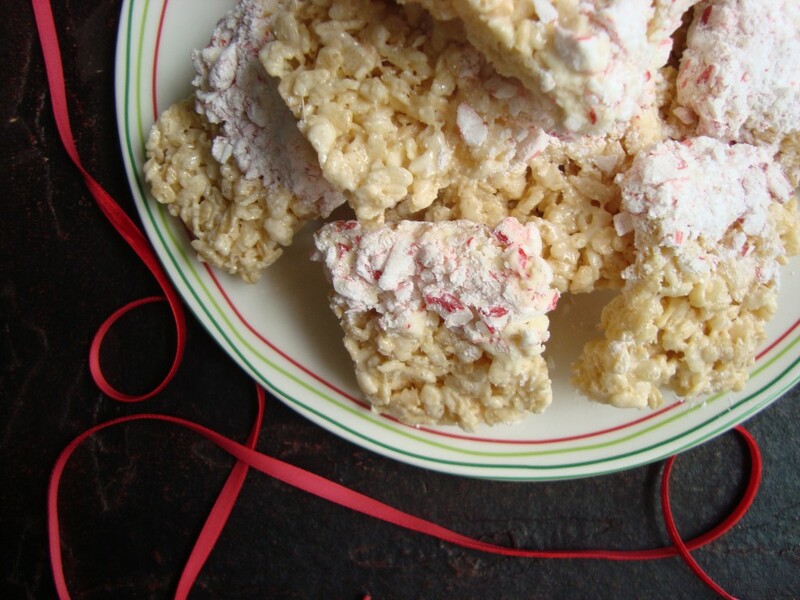 Rice Krispies Treats are addicting on their own. Just plain. I can eat an entire batch, with no shame. 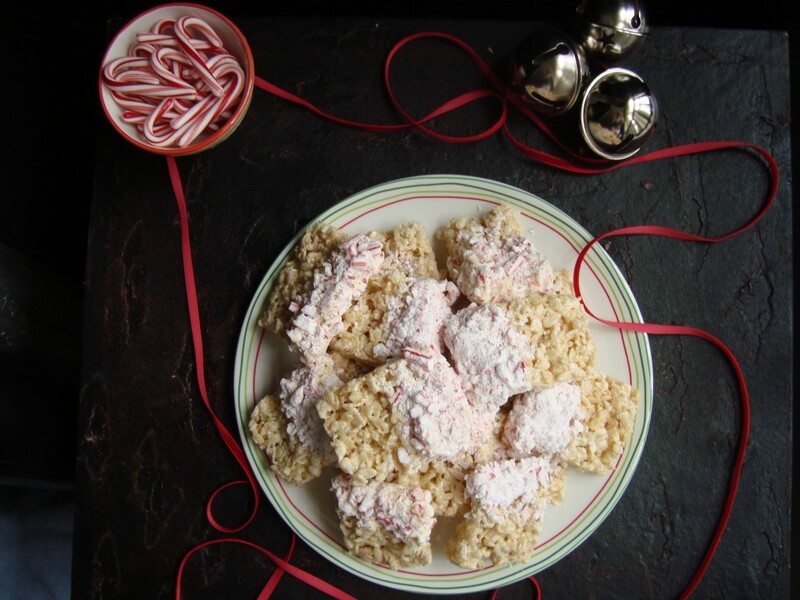 I once had a some left over Rice Krispie Cereal and a some marshmallows. I’m sure you know what happened next. After dinner I grabbed a small sauce pan, and made magic. I didn’t even wait for it to cool into the cute squares. No, way Jose! I shoved the mixture in my mouth by the spoonful. Again, no shame. To the joy of my thighs, I made these to share. My lovely friend hosts a kids craft party every year. This year, I was able to attend. I snagged a kid! My niece Lucky little thing. Made out with an afternoon of crafts and these treats. It was a great way to spend a Sunday. Full of sweet things and innocence.